Ata Rangi is amongst the top ranks of New Zealand red wine producers. The name translates as "dawning sky" or "new beginning" and this it what it represented to Clive Paton, a dairy farmer who settled in Martinborough in 1980. Located at the southern end of the North Island, it is owned and managed by the family trio - Clive, his wife Phyll and his sister Alison. The property consisted of a rather barren looking 5-hectare paddock when he purchased it. He was attracted by the free draining shingle terraces and the fact that Martinborough receives less rainfall than any other region in the North Island. Clive planted his first vines on a small, stony sheep paddock at the edge of the Martinborough village in 1980 as one of a handful of people who pioneered winegrowing in the area. 20 years later and all of the wines are on strict allocation with demand far exceeding supply. The Pinot Noir is world class and displays a structure and depth of fruit seldom encountered outside Burgundy. Célèbre is an intriguing blend of Cabernet Sauvignon, Merlot and Syrah, which is a powerful and complex wine with very good ageing potential. A high quality Chardonnay is also produced. 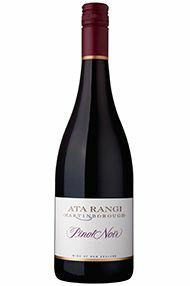 Ata Rangi Pinot Noir is undoubtedly the flagship wine, and in 2010 was honoured with the inaugural Tipuranga Teitei o Aotearoa or "Grand Cru of New Zealand". 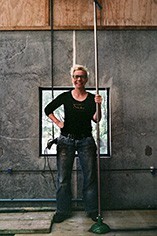 With a skilled team in place, including dynamic winemaker Helen Masters, Ata Rangi continues to lead the field. Their pinots often remain delicious even beyond 10 years old. Pale to medium ruby-purple colored, the 2013 Pinot Noir has youthfully subtle notes of red plums, cranberries and black cherries with suggestions of forest floor, lavender and garrigue. Very elegant in the mouth with layers of ethereal fruit and earth characters nicely framed by firm silky tannins and just enough acidity, it offers a satisfyingly long finish.